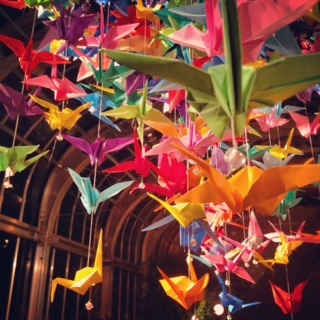 A Thousand Quilted Cranes | "I will write peace on your wings and you will fly all over the world." "I will write peace on your wings and you will fly all over the world." This is all just water, friends. Well? Wow… I will write something here a little later, I promise; I think I need a moment to process what I did here. Oh, guys. Want to see my progress by email?